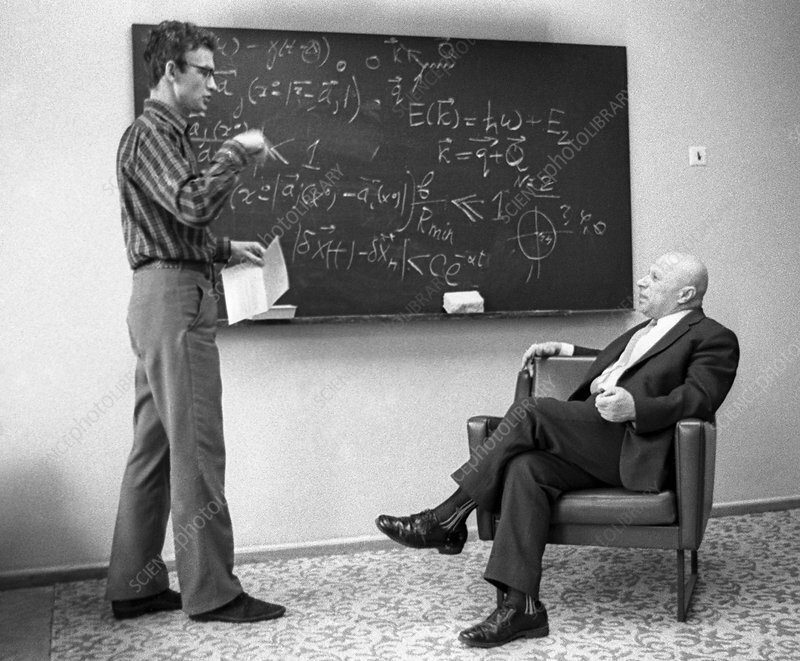 Physicist Davydov and student. At right is Soviet-Ukrainian physicist Alexander Sergeevich Davydov (1912-1993). Davydov worked on the absorption and scattering of light in molecules and crystals, discovering the phenomena now called Davydov splitting and Davydov solitons. From 1963 to 1990, Davydov was Director of the Institute for Theoretical Physics of the Ukrainian Academy of Sciences. At left is one of his students Valery Pisarenko, who is studying for a PhD in mathematics. Photographed in 1973, in Kiev, Ukraine.